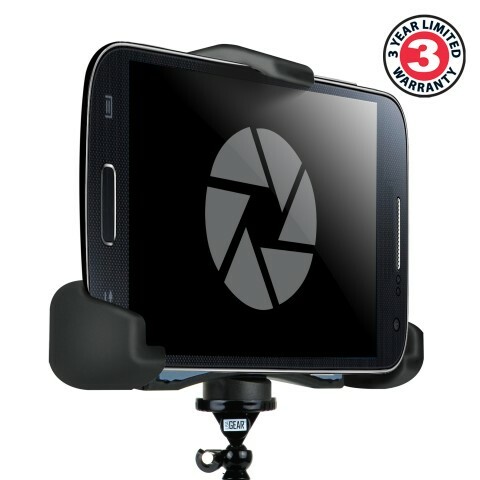 With this versatile mount, you'll open a world of high-quality video recording that you didn't think was possible! With near-professional HD and 4K recording on today's smartphones, the only thing you're missing is a way to set up the shots! 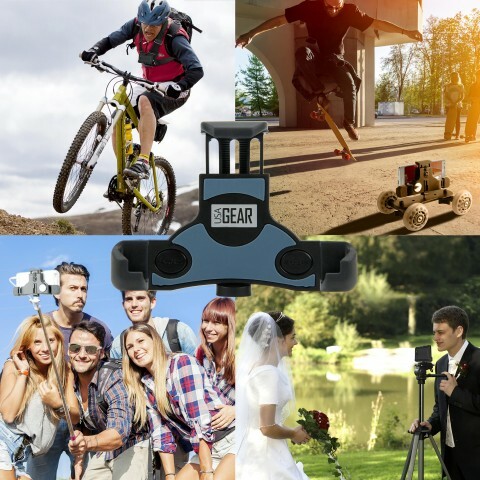 This mount features a standard tripod socket, allowing you to mount your smartphone to pratically ANY camera tripod, stabilizer, skate dolly or monopod. 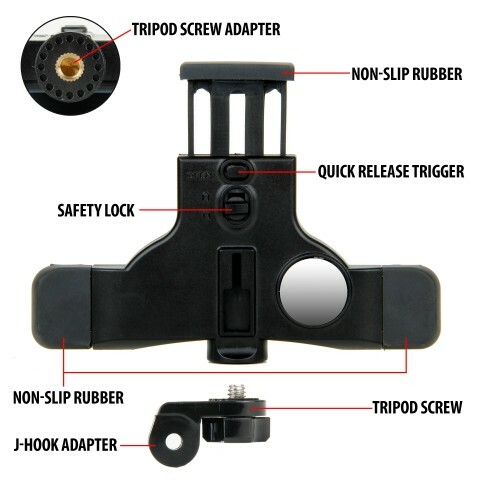 An included J-hook adapter allows you to attach your phone to GoPro HERO accessories, like a head, helmet, chest, bike, wrist, handlebar, adhesive, suction, or clamp mount! 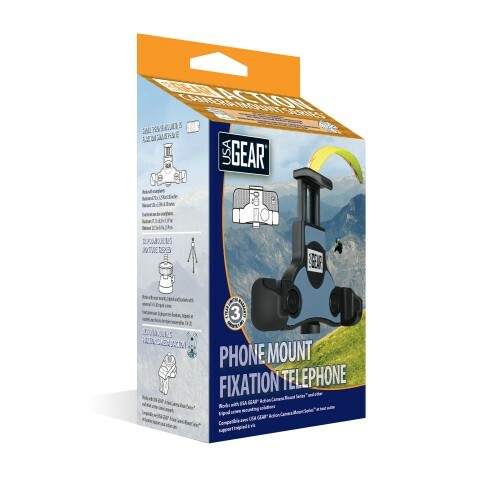 In addition, the mount features adjustable arms that ensure a snug fit that conforms to your phone. 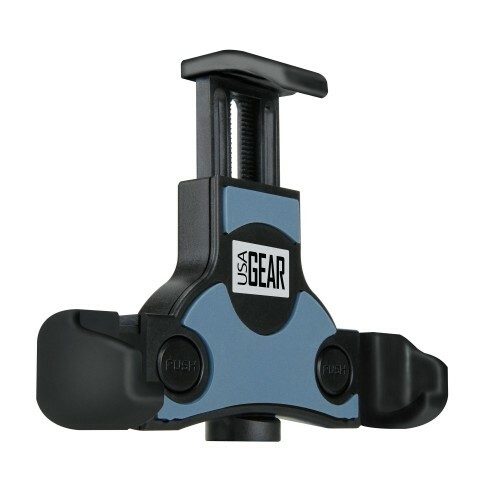 No-slip rubberized feet boast an angled grip and safety lock to keep it secure. A quick-release trigger makes it easy to pop out your device or swap phones! A reflective mirror on the back even helps line up selfies when you use your rear-facing camera for higher-definition pictures! 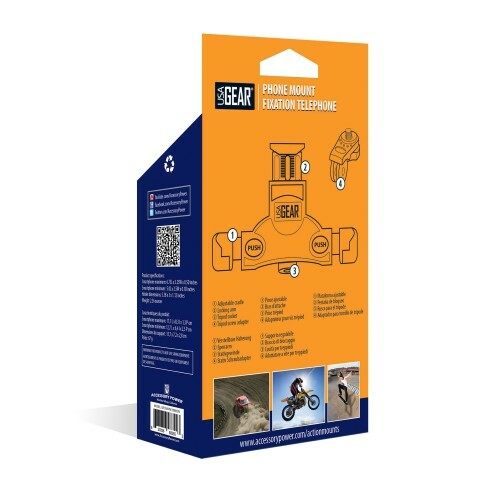 The USA Gear Smartphone Tripod and Action Mount Adapter is the perfect companion for the wide selection of USA Gear action mounts! Be sure to check out the entire selection! 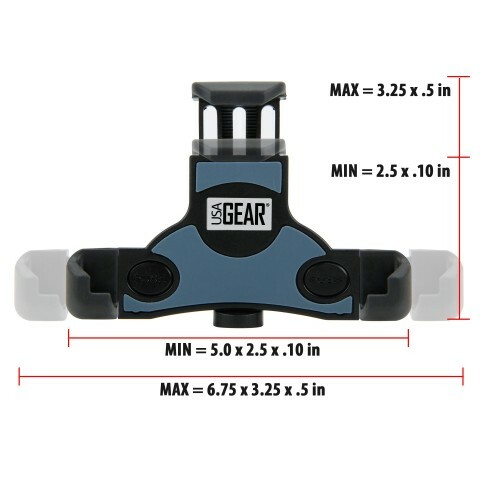 Every USA Gear mount is backed by a 3-Year Manufacturer's Warranty.